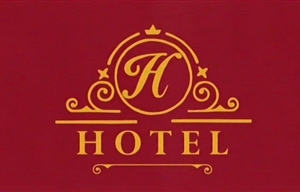 Hotel is a South African, Afrikaans-language mockumentary television comedy series created and written by Bennie Fourie and Stiaan Smith which revolves around the struggles of Ferdie Kruger - a middle-aged hotel manager - to keep his rural, sub-standard hotel afloat. The much larger Lourier Hotel Group buys The Fransen and sends a young consultant, Thomas van As, to bring the small country hotel up to its lofty standards. Thomas and Ferdie have fundamentally different management methods and the comedy revolves around their constant tussle to stamp their authority and ways of working on the hotel. The series is a look at the inner workings of a rural hotel and its staff, and a cautionary tale on how not to run a hotel. Created, written and directed by Bennie Fourie and Stiaan Smith, the series is an M-Net Original Production produced for kykNET by Nouvanaand Films. The producers are Zandré Coetzer and Scharl van der Merwe, with Anneke Villet serving as supervising producer for kykNET.